When people come to Dallas, the first thing they notice is the beauty and energy of its city streets and neighborhoods. As a resident or visitor, the city of Dallas offers a variety of living options to satisfy even people with the highest standards and tastes. However if you want to enjoy the best Dallas offers in culture, dining, shopping and nightlife, there’s no better location than an Uptown Dallas Apartments & Lofts. The Dallas Uptown area is one of the neighborhoods that gives Dallas its metropolitan feel and has earned a reputation as one of the more trendy and chic areas of the city. There are so many benefits in having an Uptown Dallas Apartment; pedestrian-friendly areas, exceptional value, classy interiors and an unbeatable location. Uptown is a popular place for young professionals to both live, work and play. The eclectic neighborhood provides nearly anything residents need; boutiques, shopping centers, workout facilities, grocery stores, and gourmet restaurants, stylish clubs, and traditional bars. All located minutes away and often within walking distance. If you are into a healthy lifestyle you will find yourself right on Dallas’ famous Katy Trail. The Katy Trail is a privately maintained public park that extends 3.5 miles that allows residents some of the best walking, jogging, and biking paths in all of Dallas. For those looking into living in the neighborhood, there are a numerous high-rises, townhomes, and Uptown Dallas apartments found in the area. However this city style living comes at a cost, Uptown Dallas is one of the more pricey areas in Dallas to rent or buy, but if you do your homework there are a few options for Uptown Dallas Apartments under 1000. Most of the development in the area is relatively new, having been built within the past 10 – 20 years, and new developments are popping up every day. Buying and establishing yourself in Uptown is not only a smart choice, it’s an investment. 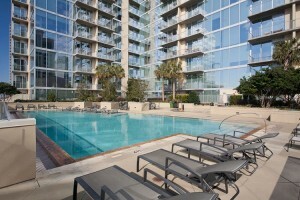 When considering living in Uptown Dallas, it’s important to look at all of your options for Uptown Dallas apartments. There are many housing options within the Uptown area such as breathtaking high-rise condos with incredible views of the cities as well as modern townhomes with excellent style and flair. 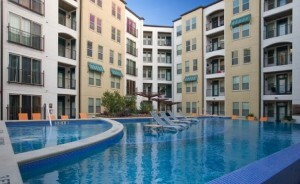 If you look around, you are sure to find Uptown Dallas apartments that cater to your individual needs. 1 Bedroom: 783 sqft 1/1 for $1465/month. Available now. 2 Bedroom: 1114 sqft 2/2 for $1805/month. Available 4/04. 1 Bedroom: 847 sqft 1/1 for $1760/month. Available now. 2 Bedroom: 1007 sqft 2/2 for $2295/month. Available 3/29. 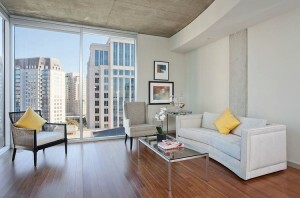 When looking for a Dallas TX Lofts and Apartments, it is essential that you find the perfect option for you. It is not hard to find the ideal set up especially because Uptown Dallas has so many different options to choose from. Taking your time and studying all of the different residential buildings, you are bound to find many different selections that you could choose and find a place to call home.